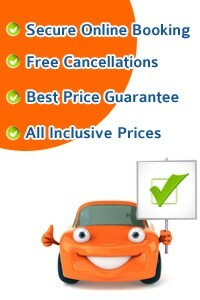 Looking to rent a car in Paphos Cyprus? We have the best all inclusive deals at Paphos International Airport on the southwest coast of Cyprus and Paphos City centre. 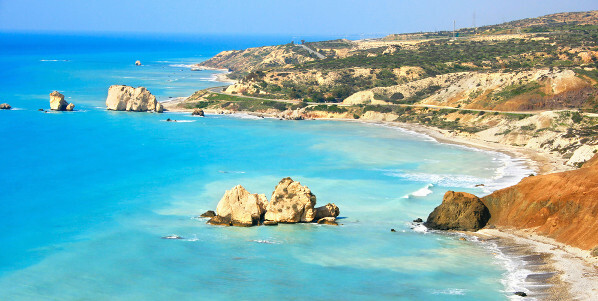 Choose from a small mini car, a compact 5 seat, a convertible or mini van for touring the beautiful island of Cyprus. Car hire only sourced from the best international and local car hire companies including Hertz, Avis, Alamo, Budget, Dollar, Sixt, Thrifty, get your car, Whizz and Europcar. 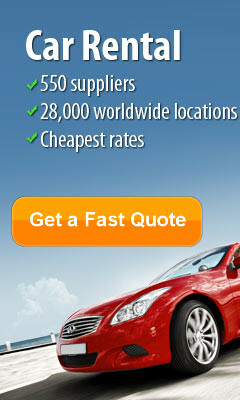 Let us save you time & money by comparing car hire prices in Paphos Cyprus for you. With free amendments and cancellations you can monitor the car rental market and should the price decrease you can switch to the new price. Compare and save now. Paphos Airport is located 16kms from Paphos. Paphos an UNESCO historical site. 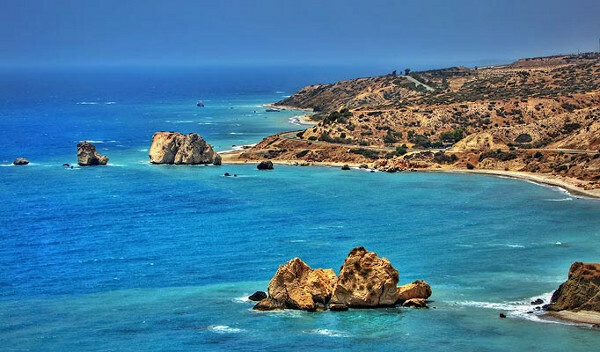 The Island of Cyprus is located in the Mediterranean Sea, with Syria, Turkey and Lebanon as neighbours.Paphos Airport is a good base to hire at Paphos Airport or down town and visit Limasssol, Coral Bay and Ayia Napa and Polis. From the A6 take the exit for Paphos airport. Continue along to the B6. Then turn right and continue for another 800 metres where you will find the Enterprise / Alamo office located on the left hand side of the road. Green Parking. 8507, Paphos, Cyprus. Driving Directions to Paphos Airport The B6 and E603 are the main access roads to Paphos Airport. Train service: Paphos New Terminal has very good disabled facilities. For wheelchairs and assistance, advance arrangements should be made with your airline, and Paphos airport staff can provide assistance upon request. Disabled Facilities: Paphos New Terminal has very good disabled facilities. For wheelchairs and assistance, advance arrangements should be made with your airline, and Paphos airport staff can provide assistance upon request. Set in extensive gardens overlooking over the sea, Almyra Hotel is just a 5-minute walk from Paphos Harbour. It offers rooms with free Wi-Fi, 4 swimming pools and a spa. All of the Almyra’s rooms are air-conditioned and include a balcony or a patio area. The property’s four freshwater pools include one especially for children and one indoor pool. The hotel’s spa offers holistic treatments and soothing massage. Aphrodite Hills Holiday Residences set on a hillside with sea views, this group of apartments form part of a vast resort split by a ravine, and are located in Kouklia, two kilometres from Aphrodite’s Rock and 25 kilometres from Paphos. The resort extends to an 18-hole golf course and offers communal pools, a riding club, and a spa centre; there is a kids’ club, and the village square houses a variety of shops, bars, and restaurants. The Mediterranean-style properties are spread over several; all extend to gardens or balconies, and are equipped with air conditioning, DVD players, and kitchens with cookware and dishes. Athena Royal Beach Hotel is an adult-focused, four star, waterfront hotel in Kato Paphos. Places of archaeological interest, restaurants, bars and shops are located at a convenient short distance. A few metres away from the hotel entrance is a bus stop and taxis are always available. Parking in the hotel car park is free for guests. The resort is situated 15km away from the Paphos airport and 160 km from Larnaka airport. Two excellent golf courses are within a short driving distance. Theo Sunset Bay Holiday Village overlooking the Mediterranean Sea, this hotel features indoor and outdoor pools and provides air-conditioned rooms with private balconies. It has a fitness centre, a tennis court, and offers spa facilities. All guest rooms at Theo Sunset Bay are equipped with satellite TV, kitchenette, refrigerator, hairdryer and coffee-making facilities. Sunset Bay Holiday Village features a health club with heated indoor pool and jacuzzi. Guests can also relax in the sauna and have a steam bath. Christina Restaurant offers panoramic sea views and serves local and international cuisine with a wide selection of regional wines. Pyramos Hotel Fully renovated in 2007, this small family-run hotel is located right in the heart of the touristic area of Kato Paphos. The hotel is located only 150 meters away from the nearest municipal beach and a 5-minute walk away from the picturesque Paphos Harbour. All rooms are fully refurbished, equipped with air conditioning and contain separate bathroom with bathroom amenities. Experience great dining at Pyramo's restaurant where a big variety of Cyprus dishes are served followed by refreshing drinks at the bar. The location is ideal as it is situated only a few kilometres from Paphos' beaches and centre. Pyramos guests enjoy close proximity to the finest locations and attractions of the island, such as Tombs of the Kings and Paphos Archaeological Park. Pioneer Beach Hotel is an adult focused, four star, beachfront hotel in Kato Paphos situated conveniently close to the places of tourist and archaeological interest as well as to restaurants, bars and shops. Parking in the hotel car park is free for guests. This hotel is located 15km away from the Paphos airport and 160 km from Larnaka airport. All the rooms in the Pioneer Beach Hotel feature have large balconies with views of the Mediterranean or the surrounding serene landscape. The Kissos hotel is a unique low-rise three star Resort Hotel emerged in beautifully landscaped gardens and built next to the "Tombs of the Kings" and the Paphos Lighthouse. Centrally located in the heart of Paphos this cosy hotel is the ideal property for families, couples and individuals that want to have everything within walking distance. Almyra stylish and relaxing, fashionable yet unpretentious, Almyra is a cutting-edge beach hotel that makes contemporary luxury accessible to all. - Alan Lane / Amsterdam.